We received this lovely gift basket from EdibleGiftBasketsOnline.com in the mail just in time for Christmas. My favorite part was the Ghirardelli chocolates with caramel in the center. My name is Michelle Matthews. 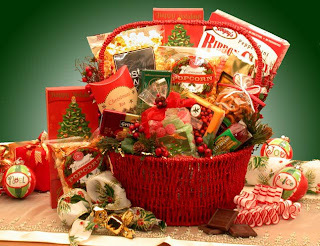 I am an independent gift basket consultant for LaBella Baskets. We are an online store only. We have a membership program for business owners helping them to save 30% off gift baskets & flowers everyday for their business or personal gifting needs. This program is also a great fund raiser! We believe in the power of giving. 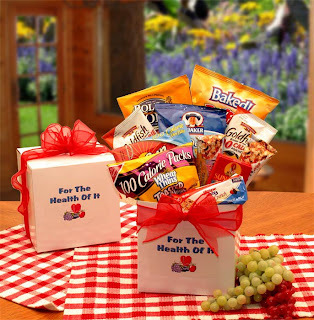 Every time someone buys a LaBella Basket they are directly contributing to the company's 'Basket of Hope' program. A program designed to help single moms who are experiencing hardships. LaBella Baskets is also a great opportunity for anyone looking for a legitimate work at home career. Everything in this gift basket was wrapped very nicely. Instead of giving the entire basket to one person, I divided it up and it made 5 gifts. Chocolates I gave to myself. :) The meat and cheese I gave to my grandma, and then I divided the candy, popcorn, and coffee and tea mixes between my other grandma and my moms. You can shop for gift baskets here. For $44, you can get a Breast Cancer Awareness gardening basket. $5 is donated from each purchase. I really want a basket like this for when we do movie night at my house. Good: These baskets are very professional looking, they'd be good to send to your boss. Bad: The basket I reviewed would normally cost almost $60. Overall: I think these baskets are great for the perfect occasion. I like that they donate to moms that are having a hard time. 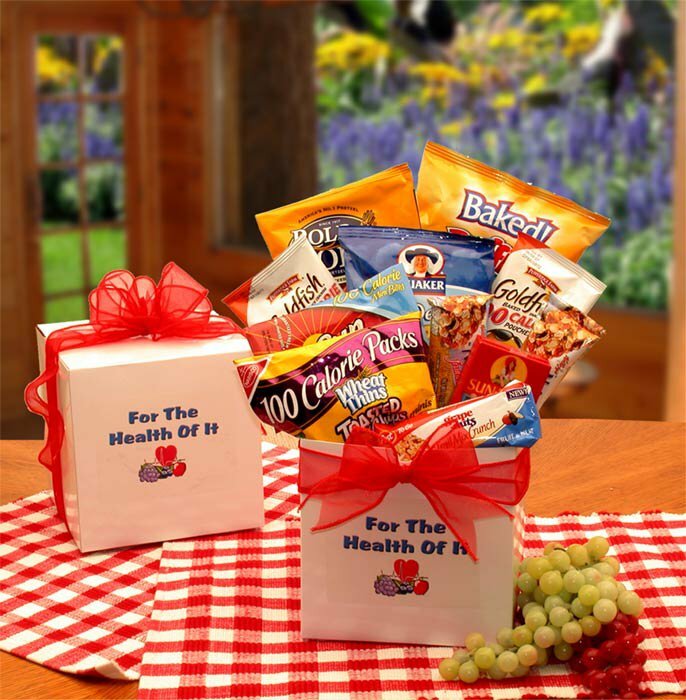 Michelle is generous enough to be giving a gift basket away to one lucky 3G reader, and since January is National Stay Healthy Month, she chose this healthy basket! Just leave a comment and you are automatically entered to win! First I would like to say I am honored to be a featured review. My name is Robyn, I’m a mother and business owner. My company, Abigail's Boutique Designs, has been reviewed here by the lovely Sadie and Jenelle. On to the review. My son received the new Nintendo Dsi for Christmas & retiring his old ds lite to his sister. The new Dsi is very similar to the lite version but has some very nice upgrades. It has 2 cameras that are 3 mega pixels and the take a decent photo in good light. You can alter the pics with funny borders or distort the pics with 11 different lens options (one of my son's favorite features). It also has a sound recorder that you can do some fun stuff with. The new start up menu includes system settings, game card, camera, sound, shop, download play, picto chat, and downloaded games. You do have to purchase points to use in the shop for games, music, ect. But once you purchase a browser you can surf the web. There is also a neat feature to upload your pics to facebook. You can play music on the Dsi but it will only work with AAC files so all the mp3 files you have will have to be converted with itunes or some other music editor. GOOD: Cost is about the same as a ds lite. Has more features to keep you busy. Great resale value. Since it has the Dsi shop you can download games straight to it so you don’t have to worry about the kids losing them. BAD: Can only play downloaded games that are on the system so when its full you have to swap out games on cards. OVERALL: I would say if you're in the market for a portable game system this is a great option. However if you're upgrading a smaller child from the lite I don’t think it is worth shelling out another $169 for options that are somewhat difficult to maneuver. YOU MAY SUBMIT MORE THAN ONE REVIEW! Each review that is accepted gives you another entry into the guest reviewer giveaway!! All reviews should be emailed to info@3girlsreviews.com SUBJECT: REVIEW (ITEM NAME). We will email you back within a week and let you know if your review is accepted, and when your review will be posted. If you have any questions, let us know!! And if you own a business, or are a rep for a company, let us know if you'd like to sponsor one of our Valentine's Day giveaways. There will also be a giveaway for SPONSORS only!! Everyone knows about cookie mix in a jar, but what about actual CAKE in a jar? It's like a portable cupcake! Sanitize all canning jars and lids. Mix cake batter (I used red velvet) up as directed on box. Grease inside of canning jars with butter. Pour cake mix into jars 1/4 cup at a time, making 1 cup total in each jar. Be careful not to get any mix on upper part of the jars (it will burn!). Place canning jars on cookie sheet, or a pan with sides. Bake as directed on cake mix box, subtracting 10 minutes from total time. Place canning lids on stove 5 minutes before the cakes are set to come out. When the timer goes off, test with skewer to see if they are completely done. Let the cakes cool for 5 minutes (no longer). At this time you may add a spoonful of cake icing (or you can have the recipient use their own). Put (warm, from sitting on stove) lids on (careful not to screw on too tight). The lids will 'ping' as they cool. This means they are sealing. If you miss the 'ping', press on the lid. If it doesn't move at all, it's sealed. The cake will pull away from the sides of the jar slightly as it cools. Mine aren't as pretty as they should be, because I didn't use quite a cup in each and they aren't full enough. I melted the icing and put it on top so it would drip down a bit. Nobody wants a half-iced cake in a jar! This is where you get creative. You can add fabric to the top of the jar (wrap a rubberband or ribbon around it to keep it in place), or even add a zip-loc baggie with a plastic (or real!) fork or spoon inside. Add a little notecard to make it personal (and so people are not confused as to what's inside). The possibilities are endless -- I am using my Cricut to cut out everyone's names and then put mod podge over them to keep them in place. I will add pictures when I can (probably tomorrow). I would love to see what you come up with.. feel free to post a link to your blog if you write about it. Total cost: Less than $2 each. 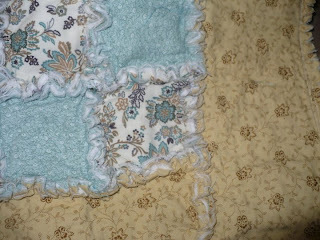 Please stop by 3 Gals Quilts and let her know you saw her quilt over at 3G! 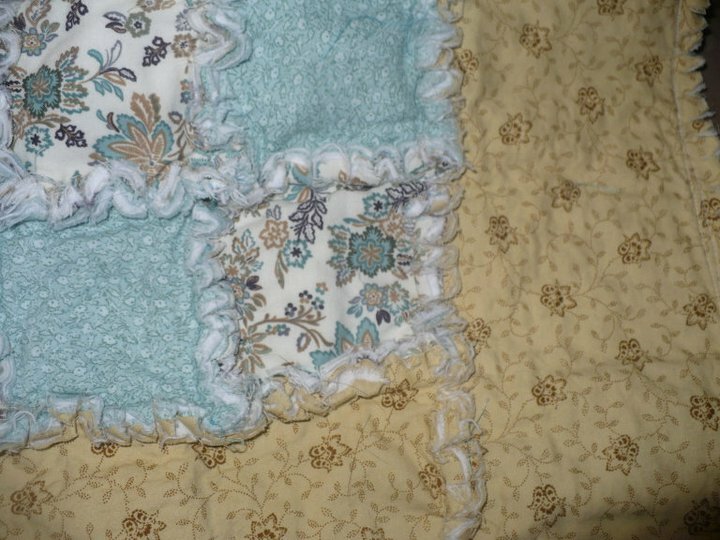 This beautiful rag quilt from 3 Gals Quilts arrived in the mail earlier this week, just in time for the super cold weather we got! 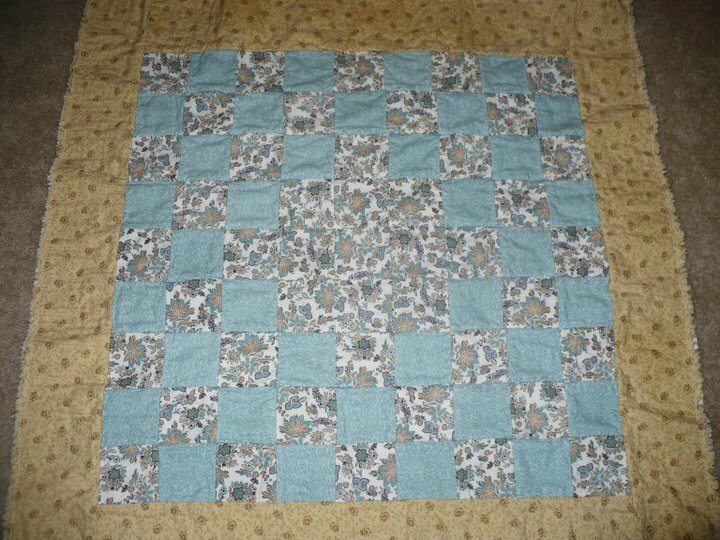 It almost feels like jean material, it's just the right thickness, and obviously a lot of time went into making this quilt. Also available, door stoppers! Perfect for this cold weather. BRRR! GOOD: Put together very nicely. Great size. Shipped fast. BAD: I do not like the color scheme, at all. Sapphire doesn't want to let it go... but this is a GIVEAWAY!!! 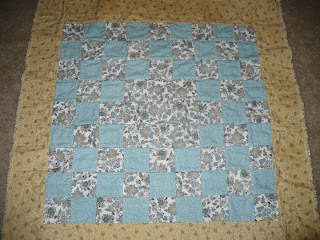 :) So be sure to leave a comment if you want to be entered to win THIS exact quilt!! Giveaway ends 12/22/2010 at 9PM CST. Mandatory entry -- follow our blog and leave a comment with your EMAIL address. Analiese Noell bows are the best! I received three of these super cute hair accessories to review and have had them for two weeks now. They have survived through all three of my rough and tough daughters, and have passed my inspection test. Time and care are the two main ingredients in these bows - well, besides ribbon. :) Not only do I recommend these bows, I have some on my wish list! 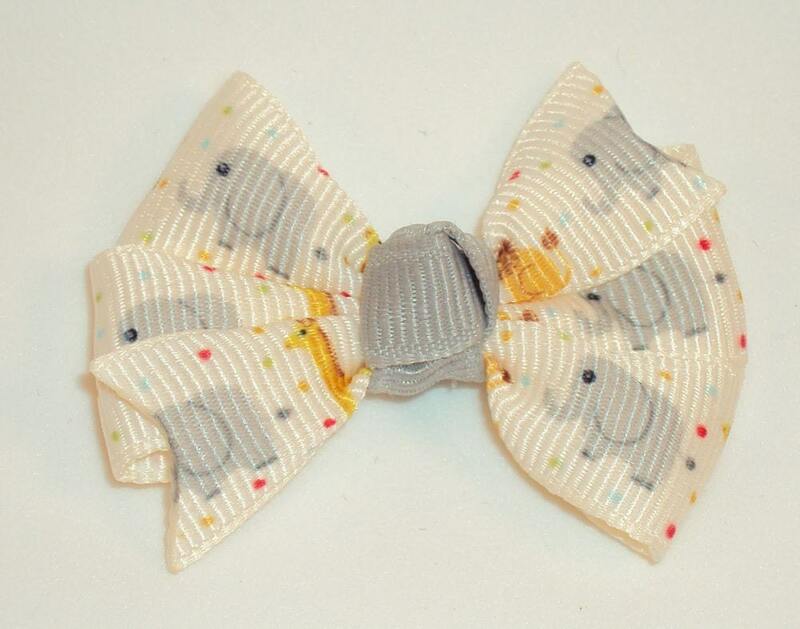 Everyone knows that I'm really picky when it comes to boutique items, and I always try to find something wrong with them, but these really are high quality hand made bows. You can tell they're not imported or wholesale, which many boutiques have started doing lately. 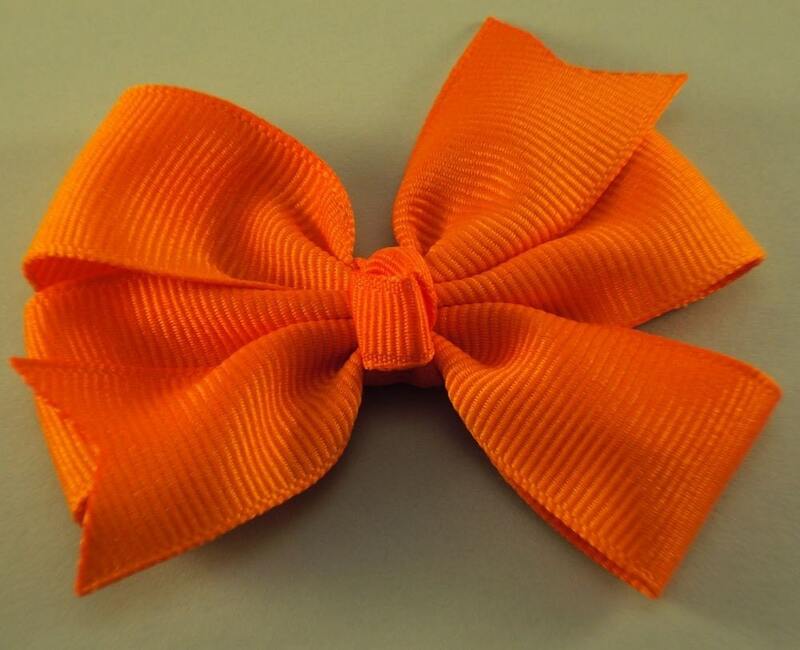 GOOD: Durable bows, lined clips, no glue showing, vibrant colors, great prices. BAD: None that I noticed! OVERALL: I definitely will be shopping with Analiese Noell in the future. 5 out of 5 stars. 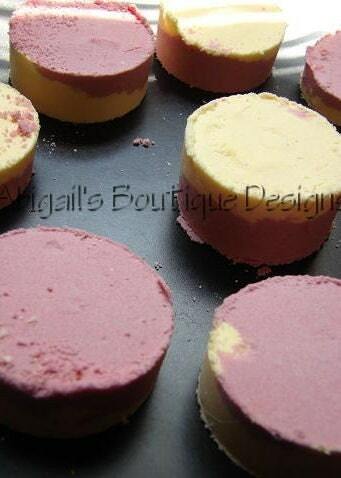 Visit her shop, and fan her on Facebook for coupon codes! 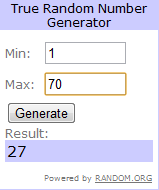 First Annual 7 Days of Giveaways: The Final Winner Has Been Chosen! The winner is participant #3, Paula! Congratulations Paula. Please email us at info@3girlsreiews.com so we can get you in touch with your prize sponsor. Comment on this post to be entered into the drawing (question below in bold red). Winner will be chosen at random by Random.org and posted the following morning. Game starts at 8pm central. You have until 9pm central to reply. The contest will be closed PROMPTLY at 9pm! Tonight we're giving away a FREE BeautiControl Instant Manicure from Samantha Trevino, Independent Constultant. Simply follow the instructions below to be entered to win! Ever since that movie ''The Bucket List'' came out, I've always wanted to create a list of my own. Pick something from your lifetime to-do list and share with us why it's important to you. It can be anything you wish to talk about. It's time to announce the winner from last night's giveaway! This lucky winner will receive A Scentsy plug-in from Heather Nickless, Independent Consultant! Join us one last time, here at 3girlsreviews.com at 8pm CENTRAL to comment and win this awesome prize! Tonight we're giving away a A Scentsy plug-in from Heather Nickless, Independent Consultant! Tonight's task: Visit https://nickless.scentsy.us/Home browse around. You have ONE HOUR! Then come back here and post about a few of your favorite things from her site (either something you have tried or would like to try). Tonight we're giving away an super awesome prize with a great value: A Scentsy plug-in from Heather Nickless, Independent Consultant! Be here at 8pm central to comment on the post labeled ''Day 6! POST HERE" to be entered to win this awesome prize! The prize for tonight is Cheetah print Baby Ballerina Slippers, size 0-12 months & a pair of Pink and Black Zebra bows from Totally Tutus. Tonight's question is: are you traveling for the holidays this year? If so, what are some of your must have travel accessories that make the trip easier to bare? A certain pillow for the plane? A special game for the kids? If not, tell a little about what your plans are at home. I love tea! In fact, I drink at least 2 cups a day and love all varieties. My favorite is herbal teas (depending on what I need it for it could be mint, ginger, chamomile, echinacea or any combination of wonderful herbs). Lately I've been using pre-bagged teas, but was eager to get back to brewing fresh loose tea. Now I have the opportunity to do so conveniently and with eco-friendly reusable bags! I've only used the mug sized tea bag so far (need a smaller cup for the cup-sized bags and I don't have a teapot to use that size bag on just yet). The bag did very well in preventing any of the tea leaves from floating into the water, while still allowing for the tea to properly brew. 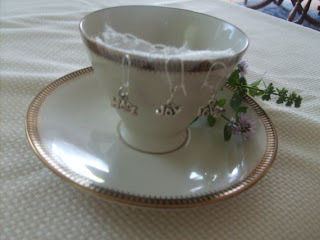 It was easy to use (put the tea in and pull the drawstring to close) and looked decorative in my mug. Additionally, since these are reusable fabric bags, I can simply use a bit of soap and warm water to clean them if necessary. They're definitely a treat to use. Good: They're reusable, which makes them much more environmentally friendly than conventional tea bags. They're decorative so they look pretty sitting in your mug. They're also washable, easy to use, and her customer service was great. The other items in her shop are just as adorable, so I can't wait to shop some more! She even makes Upcycled Wool Squeaky Dog Bone, $14 and Upcycled Reusable shopping Bags, $5.95 Everything is also affordable. All in all, I enjoy using them and will continue to do so. Bad: My only concern at this point is how the smaller cup-sized bags are designed. They don't have a drawstring feature like the others to allow the bag to be closed completely when in use, however the opening is fairly small. I haven't used them yet, but my concern is that once in the water some of the tea might float out of the opening. We'll see if that actually happens when I use it though. Interesting in seeing more? Check our her Esty Store Here! Here it is! The lucky winner of the day 3 giveaway. You've won a solid stretch headband with dragonfly clip from Butterfly Wishes. The winner is participant #2, Counting My Blessings! Congratulations! Please email us at info@3girlsreviews.com to claim your prize. Tonight is night #5 and will be held right here at 8pm Central! Stop by and participate to win a Cheetah print Baby Ballerina Slippers, size 0-12 months & a pair of Pink and Black Zebra bows from Totally Tutus. Comment on this post to be entered into the drawing. You have until 9pm central to reply. The contest will be closed PROMPTLY at 9pm! 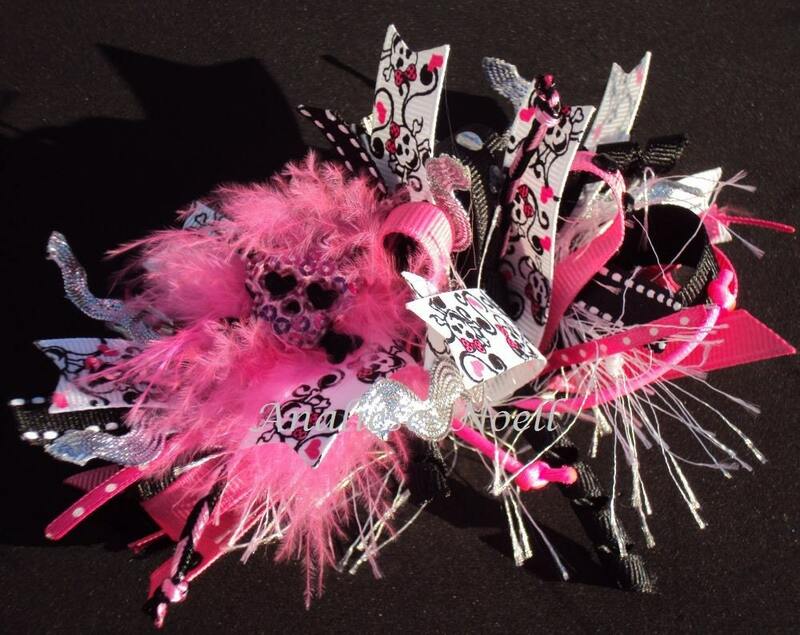 The prize for tonight will be a solid stretch headband with dragonfly clip from Butterfly Wishes. So, here's tonight's topic: What's your favorite holiday song? Tell us below and be entered to win! Here it is! The lucky winner of the day 3 giveaway. 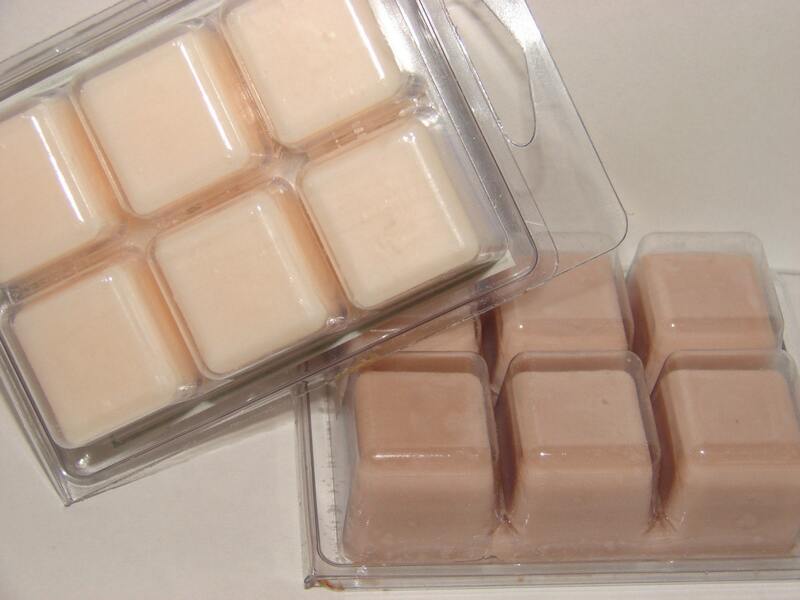 You've won a bar of Bee's Knees Soap from Prairie Grass Sundries. The winner is participant #2, Zoe Hunter Lee! Congratulations Zoe! Please email us at info@3girlsreviews.com to claim your prize. The next giveaway is tonight. Same time (8pm central), but due to issues regarding the Facebook promotions guidelines, it will continue to be hosted HERE at 3girlsreviews.com.The prize for tonight will be a solid stretch headband with dragonfly clip from Butterfly Wishes. The prize for tonight will be a bar of Bee's Knees Soap from Prairie Grass Sundries. So, here's tonight's topic:What are your some favorite scents/smells? I personaly love fruits and vanilla. So sweet and relaxing! Let me know below and be entered into tonight's giveaway drawing! The prize for tonight will be a Christmas Penguin Clippie from The CrowesNest. Some of you read my review on Just Dance for the Wii . If you haven't already, go check it out so you can easily compare the two games. :) Just Dance 2 has brand new songs from popular artists like the Pussycat Dolls and Ke$ha, as well as old favorites from Cher and Ike & Tina Turner! Just Dance 2 has over 40 songs to choose from, and I knew about half of them (just like with Just Dance ). The little characters on the bottom of the screen did nothing but confuse us when dancing, and it was kind of hard to switch places (in duet mode) because we have such a small area to begin with, but we had a blast playing this game. The mix of new and old songs, fun dance moves, and "sweat" mode make this a game you will want to buy! I priced this game at my local game store and it was $50, but Amazon has it for $29! It is definitely going on my Christmas list. Now, more about the "sweat" mode. I love it! You choose the level you want to do, and then the game keeps track of your "sweat points" until you reach your goal! It is set up to where you work out with this game every day. Everyone knows how boring workout videos can be, so this is exactly what you need to switch it up a bit! Good: Variety of songs, different dance modes and challenges, sweat mode, exciting graphics (you're center stage in the Pussycat Doll song), great price if purchased from Amazon. My 9 year old played the game and did well, so it's not too difficult either. Bad: In duet mode, it gets a bit confusing. Overall: I give this game 5 out of 5 stars. It has everything you'd want in a workout video and video game combined! I definitely recommend it over Just Dance . Stay tuned for Jenelle's upcoming review of Just Dance Kids ! A solid stretch headband with dragonfly clip from Butterfly Wishes WON! Christmas Penguin Clippie from CrowesNest WON! Bee's Knees Soap from Prairie Grass Sundries WON! Bottle Cap Necklace or Magnet from Fairy Dust Tutus WON! Cheetah print Baby Ballerina Slippers, size 0-12 months & A pair of Pink and Black Zebra bows from Totally Tutus WON! I gotta tell ya, even though I really enjoyed playing this game, I got bored with it really fast! Out of 32 songs, I knew maybe half of them. Out of that half, I liked about 10 or so. Eye of the Tiger, Girls Just Wanna Have Fun, and Womanizer - those songs were all played a million times while we had this game! Others, like Louie Louie and Fame, were not played at all. Dance Off mode is awesome, but you need a lot of room to be able to dance next to each other. It was a tight squeeze for us. This game got our whole family up and moving. My 9 year old just about mastered the game, and my girlfriend and I competed with each other and had a blast. As far as the 5 year old and 4 year old, they enjoyed it but couldn't actually keep up. They had just as much fun watching us, though. It's one of those games that everyone enjoys. I think it would be really neat if they'd come out with a game where you can download your own music, and dance to it. Not sure if that will be possible any time in the near future, but I bet somebody is already working on it! Then the game would never get boring because you could switch the songs out after you've played them a little while. Just Dance 2 was recently released, and we will be renting this game instead of buying it. Just Dance is just one of those games that you can love for a few weeks and then it will just sit on the shelf and collect dust. If you rent it and love it, then you can still buy it. :) There are 40+ songs on Just Dance 2, including hits by Ke$ha, Rhianna, and the Ting Tings. When viewing the song list, I knew about half of the songs just like with the first game. I'm excited to try it, but will not be rushing out to spend $50+ on a game I will most likely get bored with in a week or two. GOOD: This game has a variety of songs. You can dance to New Kids on the Block, Britney Spears, MC Hammer, and more all on one game. I love variety! Dance off Mode was challenging, and the game definitely encourages you to move. You only have to use the controllers, instead of having to drag out the balance board and/or dance pad. Now that Just Dance 2 came out, Just Dance is only about $30 which is pretty good for a wii game. The song doesn't cut off if you miss too many beats (like with Guitar Hero and similar games), which is also nice. BAD: After about a week, I started to get bored. I tried different modes and songs, and it kept me going for another week or two, but I think this is more of a "rental" game unless you have friends over frequently that would like to play (though you'd be great at it and they'd just be learning so I'm not sure how challenging that would be). Overall: I will give this game 3 stars out of 5, because it is affordable.. it is fun.. and it does have variety.